For the first time, Unitarian Universalist chaplains come together to share why they care, who they care for, and how they care. In sixteen heartfelt and thoughtful essays, they provide a close-up view of their day-to-day ministry in hospitals, hospices, prisons, the military, the police force, and rehabilitation centers. With the increasing secularization of our culture, and the growing numbers of religious seekers, Unitarian Universalist chaplains today play ever-more important roles in these institutions. They model non-sectarian care for a world that is increasingly spiritual but not religious. 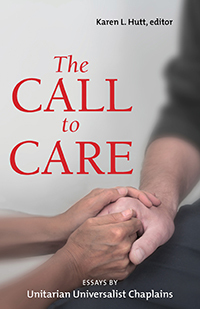 These writers open a window into the caring arts as they share their stories about companioning people in crisis who are on a journey to find meaning and purpose in difficult times.